NCF supports non-profit international centers in Thailand, Turkey, and Kenya that provide Christian counsel, guidance, and education to missionaries, cross-cultural workers, and non-government organization workers and their families. NCF’s vision to creatively and intentionally care well for pastors and missionaries began with Dr. Clyde Narramore in the 1960s. Dr. Bruce and Kathy Narramore and many others who have served with NCF have carried that vision further. Sadly, far too many Kingdom workers receive little or no member care, that is, “pastoral care and personal development…for their nurture and development over the course of the life span as cross-cultural workers” (WEC). The “ongoing preparation, equipping, and empowering of missionaries for effective and sustainable life, ministry, and work” (WEA Global Member Care Network) with investment of resources by churches and agencies is often minimal or lacking completely. NCF leaders recognized this acute need and acted on it. In 2004, NCF helped to develop and establish Cornerstone Counseling Center in Chiang Mai, Thailand. Now known as Cornerstone Counseling Foundation, NCF continues to support this dynamic ministry serving Christian cross-cultural workers in Southeast Asia and beyond, and the people of Thailand. 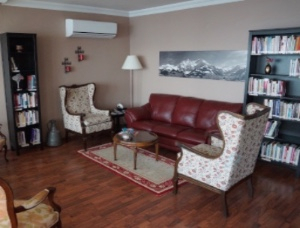 In 2014, Olive Tree Counseling Center was established in Antalya, Turkey. With NCF’s support in the vision and planning, Olive Tree Counseling Center is thriving as a site of hope and healing for Kingdom workers throughout Eurasia. Cornerstone is a ministry that the Narramore Christian Foundation helped to found. Its staff of professional therapists and psychiatrist currently serves 500 or more missionary families and individuals each year. 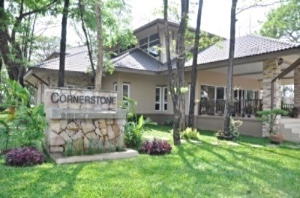 The majority of those are served at Cornerstone’s counseling center in Chiang Mai, but others are seen when staff therapists travel to Southeast Asian countries to consult, lecture, and participate in seminars, retreats, and training programs. The range of services includes individual and couples therapy, crisis intervention and trauma counseling, psychotropic medication recommendations and management, assessment of children and adults, including assessment for learning disorders and academic performance issues, and consultation with agency leaders and team consultations. Cornerstone's Capital Campaign: Cornerstone is expanding its vision to encompass Christian mental health development in Thailand among its people and communities in addition to providing clinical services to Christian workers. Cornerstone has a unique and remarkable opportunity to purchase land to be used as a key resource for this flourishing ministry. With a generous matching grant of $175,000 already given, their goal is to raise the remaining $175,000 needed. In addition, a generous donor has offered to donate the cost of the land ($350,000) to establish a growing ministry of Christian mental health to the people of Thailand. Thus, every dollar given will be returned 4:1! The goal is to raise the funds by October 2019. Our prayer is that this focus will shift the landscape in this Buddhist country as we see the Thai experience God’s healing and the power of gospel. Olive Tree Counseling Center is a Christian professional counseling and consultation center that provides mental health counseling, crisis response, preventative workshops, and consultation to expatriate workers and organizations throughout Eurasia, the Middle East, and North Africa. In a region of the world that often involves risk, trauma, ministry challenges, and difficult living situations, there is a significant need for care. The counseling team is composed of licensed professional counselors, marriage and family therapists, and clinical social workers. They provide assessments, crisis debriefing, and trauma counseling. They work with individual adults, couples, adolescents and children. Brief intensive therapeutic services are provided daily over a two or three week period. Most of the work is done at the counseling center, but staff are also available to travel for crisis response, training, and, when possible, to provide counseling on location. They also provide consultation for administrators, counselors, and member care workers. Staff members are available to present workshops on requested topics such as living with uncertainty, a theology of suffering, stress management, marriage enrichment, parenting, team building, conflict resolution, and work-rest balance. http://olivetreecounseling.org. For more information about the services that OTCC can provide, or if you would like to inquire about joining the OTCC team of therapists, contact John Leverington, Director, by e-mail at info@olivetreecounseling.org. OTCC is looking for one additional, experienced therapist. Tumaini is a Christian counseling center located on the outskirts of Nairobi. It is staffed by SIL and AIM International, two agencies with a long history of outreach in Africa. The staff includes psychiatrists, psychologists, and counselors, all of whom have the appropriate professional licenses in their home countries. Tumaini staff offers a variety of services including assessment, crisis intervention, consultation, psycho-educational seminars, medication, and psychotherapy. Although most of their work is carried on from their center, some of their staff occasionally travel to other areas of Africa to offer consultations and crisis intervention and response. Tumaini periodically has needs for additional staff including those who are experienced in assessment and counseling of children and teenagers, marriage and family therapy, individual therapy with adults, and outpatient psychiatric assessment and treatment. www.tumainicounselling.net.